Краткое описание: Q-tarō's friends are kidnapped by several burglars. Q-tarō has to save them, however many dogs are in the way—Q-tarō's one fear as a ghost. 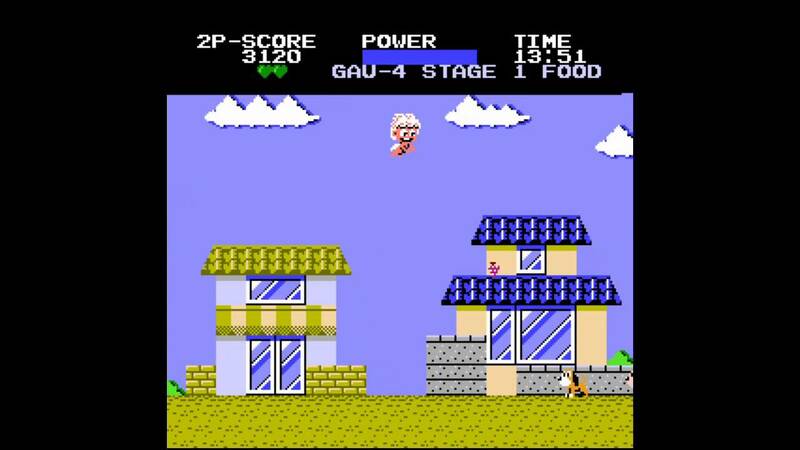 Q-tarō the Ghost (Chubby Cherub in the English version) has to cross 12 levels, at the end of each, the protagonist will find his friends. 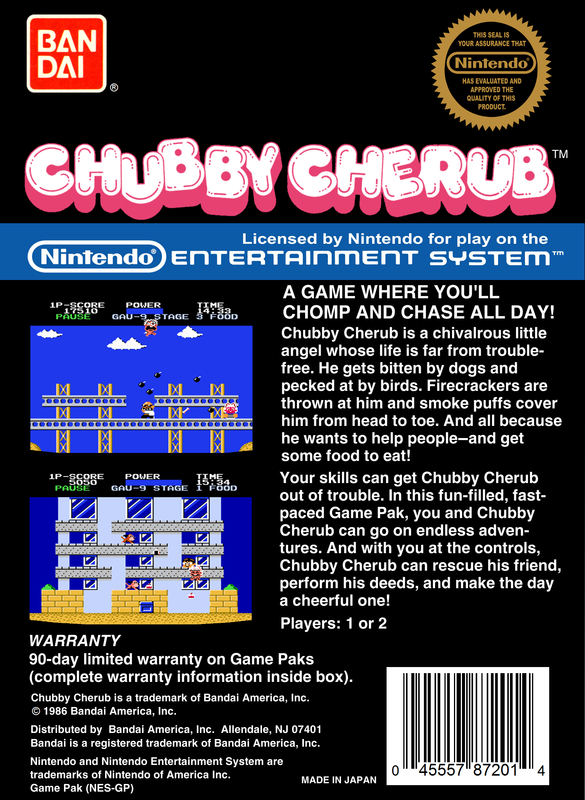 Eating food maintains Chubby Cherub's flight. If the flying meter goes all the way down, the character will have to stay on ground. The character will bark at the dogs before they bark at the character; if a bark hits the character, the character may die. Q-tarō's friends are kidnapped by several burglars. Q-tarō has to save them, however many dogs are in the way—Q-tarō's one fear as a ghost. 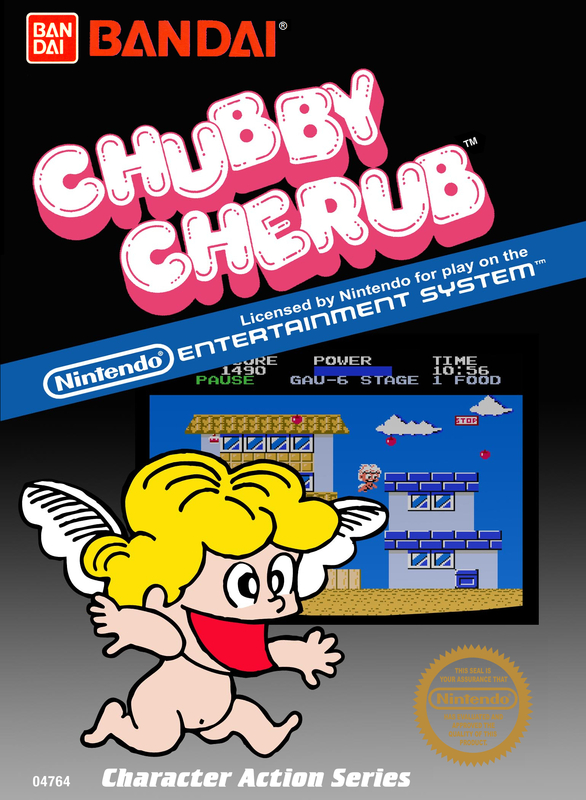 Q-tarō the Ghost (Chubby Cherub in the English version) has to cross 12 levels, at the end of each, the protagonist will find his friends. Eating food maintains Chubby Cherub's flight. If the flying meter goes all the way down, the character will have to stay on ground. The character will bark at the dogs before they bark at the character; if a bark hits the character, the character may die.